Dr. Kevin O’Shea and Dr. Pita Dhaliwal of Aberdeen Dental Care in Vernon, BC, have helped countless patients straighten their teeth and improve their smiles with invisible braces without requiring a referral to an orthodontist. Invisalign can improve the alignment of your smile with clear, virtually imperceptible aligner trays. While the greatest benefit of Invisalign braces is their invisible appearance, there are several additional advantages. Invisalign alignment trays are smooth and comfortable. The trays are removable, which makes it easy to brush and floss the teeth and clean the alignment trays. Patients can eat their favorite foods without any worry about damaging the appliance or having food get stuck. Additionally, while it’s important to wear the trays nearly 24 hours a day, the trays can be removed for important presentations or meetings. Invisalign requires few office visits. Just a visit about every six weeks to check progress is all that is needed. Patients simply change their trays every two weeks. It’s important to note that invisible braces aren’t for everyone. The best candidates are those with only minor to moderate misalignment. Individuals who have severe misalignment are often not candidates for alignment trays and will receive better results with traditional braces or Fastbraces, which changes the way teeth are shifted. Regardless of which type of braces you choose, follow up care including regular use of a retainer will be important to ensuring your teeth remain straight. 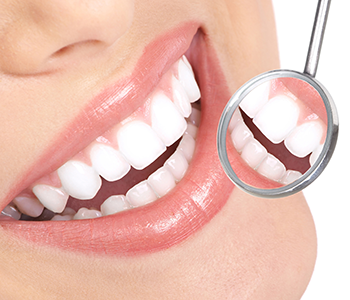 The first step to a straight, healthy smile is to call Aberdeen Dental Center to schedule a consultation with Dr. O’Shea or Dhaliwal, call (250) 545 3319. The dentists will examine your teeth and mouth, discuss your desired timeline and budget, and recommend the best orthodontic treatment to help you achieve the smile you want and deserve.